According to an article that was printed recently in the journal Addiction, previous experiences have shown that standardized packaging for cigarettes has helped reduce the number of new smokers. The move of standardization of cigarettes packaging has helped save lives. Although the step has, until now, only been adopted by the Australian government, the UK government may be the next to follow in the footsteps. However, there is much debate on the topic and whether the move will benefit the citizens at all is still a question. According to the news, a voting is expected to be conducted in March in the UK. The matter concerned is whether the government should standardize the packaging of cigarettes. The question at hand is whether the move will help save lives and if packaging affects people in making a decision. The MPs of the nation will cast their vote to decide if the government should go ahead with the endeavor. If it does, it will be second only to Australia that had adopted the practice completely in 2012. In Australia, the government had passed the law that bans manufacturers to alter the color, shape and size of the cigarette packets. 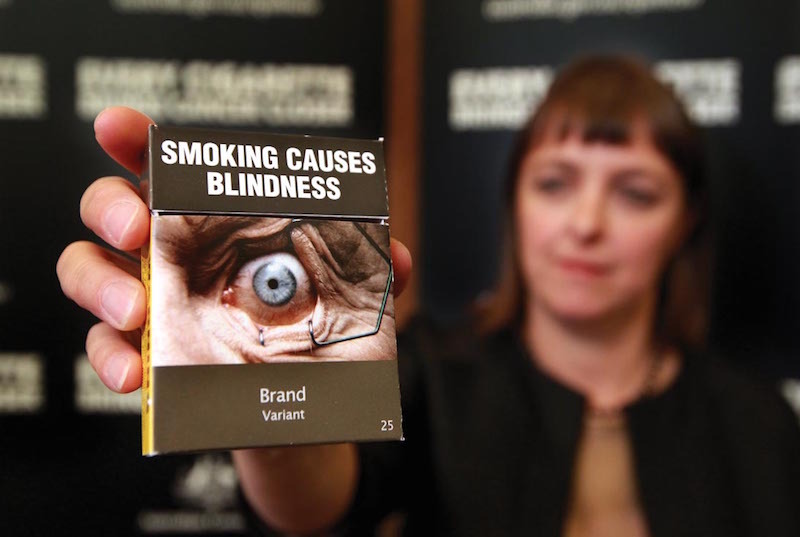 The idea is to call for a “plain packaging,” irrespective of the brand of the product. The brand name would also appear in a set font, and the packaging would contain health warnings. The same measure is being argued to be adopted in the UK. MPs are scheduled to vote on legislation in the country and Wales, Northern Ireland, and Scotland. Psychological studies and real-time surveys have shown that the plain packaging move does have some impact on the people. It helps curb the urge to smoke even in current smokers. The concept has led fewer people to smoke in public places. The study also proved that packaging does have brand appeal and in the absence of different appealing packaging, health warnings attract the attention of more people. The study claims that standardized packaging are more effective than printed health warnings on the packets.